"Yoga frees you from the drama, the tragedy, the saga your mind creates and allows you to experience your True Self." "Apoorva is a beautiful wise & knowing soul whose yoga practice will make you believe in reincarnation, as her knowledge of poses and the way she dances through her practice belies her youthful appearance. When she was a member of my mind-body team, although she was completing her 200 RYT & new to teaching, she developed a loyal following of yogis who were enchanted by her practice and her ability to blend the best of old world and modern yoga poses. She has a light about her that shines brightest when assisting others - and after a class, one leaves with a bit of that light in your being. Apoorva has a rare gift for instruction and movement that is sorely missed by our members. If you wish to enjoy a true mind-body-spirit connection that will bring joy to your soul, I encourage you to experience a session with Apoorva. ​It honestly might be the best gift you've given yourself in a long time." 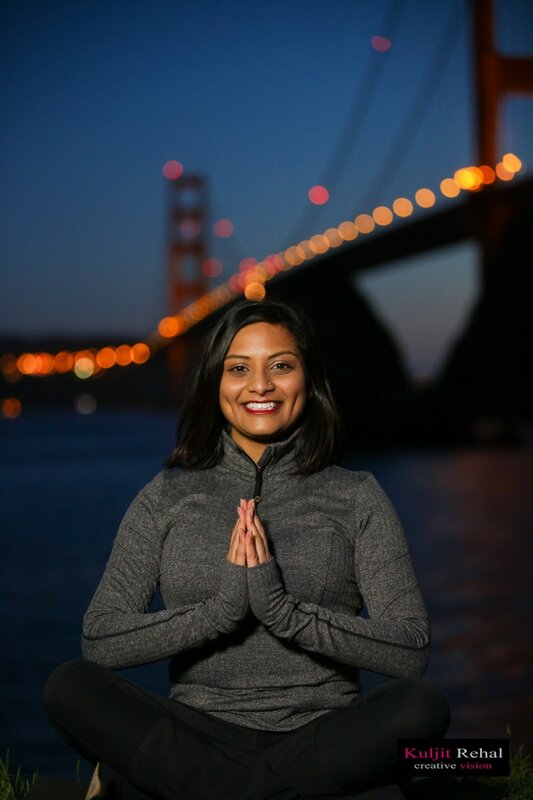 "I had the privilege of taking Apoorva Rastogi’s Yoga Classes at the Genesis Health Club, Lawrence, KS. ​Apoorva is simply a wonderful teacher, skilled and sensitive to the individual needs of her students. ​Her calm nature brings in an atmosphere of peace and serenity in the Yoga room. Do take her classes if you get a chance!"